HMD Global has teamed with Google to launch Android Go Edition phone in Indian Market. Nokia 1 has 1.1 GHz MediaTek Quad Core processor, 1GB RAM, 8GB Internal Memory with MicroSD card slot, 4GB LTE, 4.5-inch FWVGA IPS Display and removable 2150 mAh battery. The phone comes with 5 MP Fixed Focus camera with LED Flash and 2 MP front camera. The phone is powered by Android Oreo (Go Edition) and comes with Dual SIM (Nano). It means there is no skin on top, no bloatware, and all the Lite google apps are loaded which significantly increase the performance of the phone even with low RAM. Android Oreo (Go Edition) is a special version of Android designed for devices that have 1GB RAM or less. This version includes all the Lite apps such YouTube Go, Google Maps Go, Google Go etc. 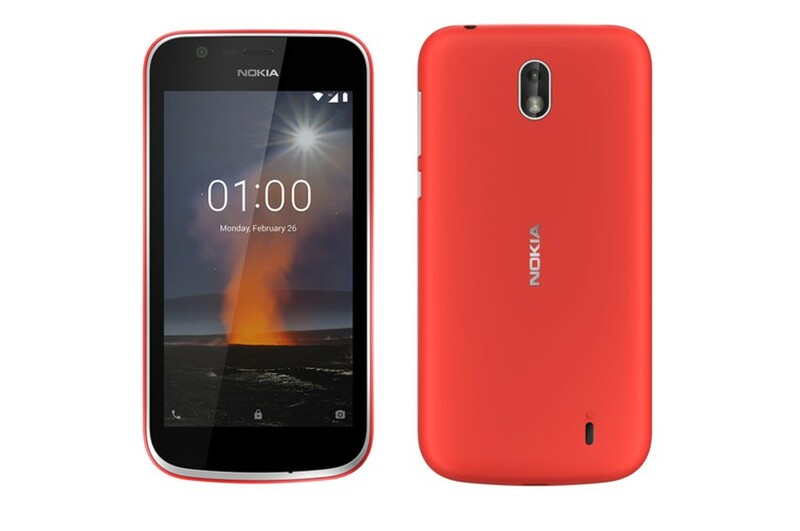 Available in warm red and dark blue the Nokia 1 will be up for sale starting March 28, 2018 at a recommended best buy price of Rs. 5,499/-. Consumers can now personalize their Nokia 1 and pick from a pack of azure and grey or yellow and pink.